i really liked this song, and i enjoyed what you did. i really wish that ukutabs would give us strumming patterns. also to anyone who does want strumming patterns; no one can give them to you due to copyright isssues. This was the best thing I’ve ever heard in my whole entire life! OMG this is the best thing ever. Grace you are the best this song is the best everything you is the best. Do you have any new songs because I have no idea I haven’t listen to you for a while. Does anybody think she has new songs!? 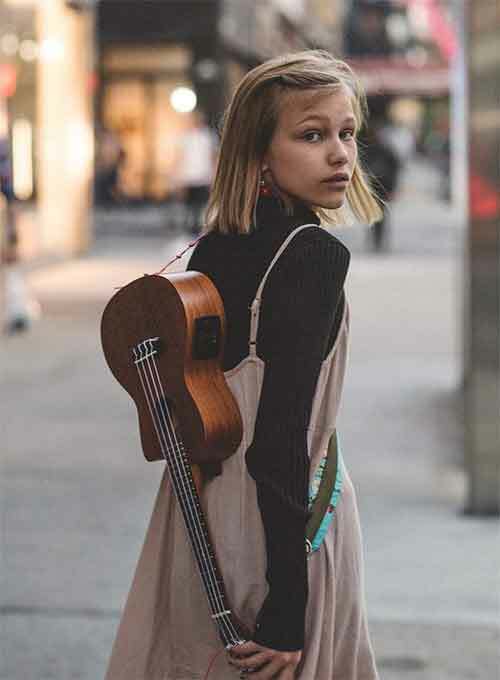 Grace VanderWaal is a singer/ukulelist from Season 11 of America's Got Talent. Grace is from Suffern, New York. She lives with her mother, father, her older sister by three years (and best friend) Olivia, and two dogs. Grace started writing music at the age of three, making up songs with her wireless microphone. Before her audition, she had never sung in front of very large crowds.